What a rare opportunity! 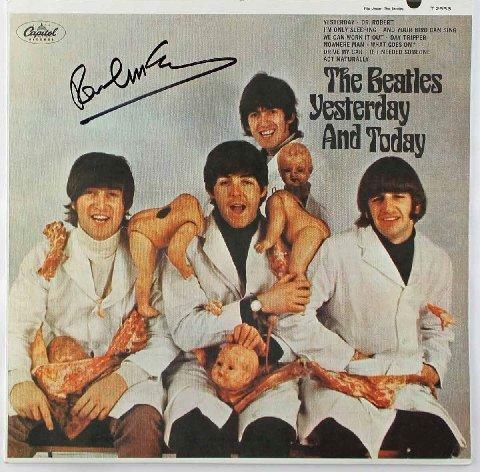 This extremely rare and desirable contemporary album pressing of the Beatles' historic and controversial "Yesterday and Today" featuring the famed "Butcher Cover" image on the cover, is beautifully hand signed by Sir Paul McCartney himself along the top center above his image in black felt tip marker. This signed album was obtained in-person and is in excellent condition. 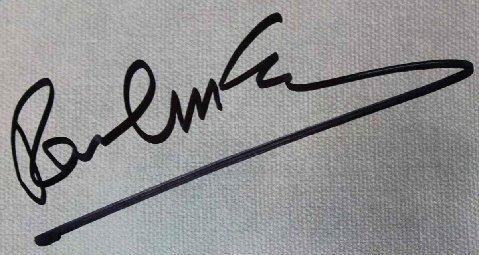 This is, by far, the rarest of all signed McCartney albums, and we've only seen a few ever surface in the market. 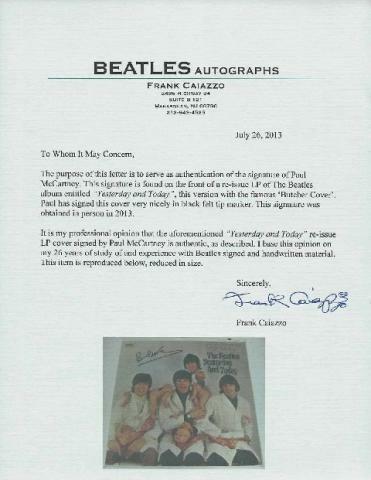 The signed album is accompanied by full letters of Authenticity from PSA/DNA and renowned Beatles autograph expert Frank Caiazzo. Due to the very rare nature of this offer we must charge your credit card for the full price immediately upon taking your order. 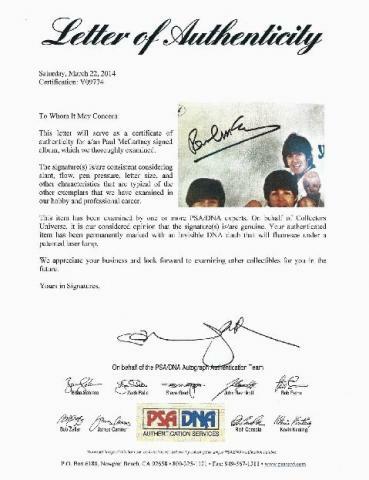 This policy ensures we reserve the signed album cover for you. We will confirm your order by Email. Please allow at least 2 weeks for delivery. 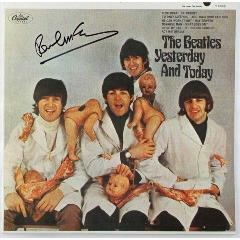 Paul McCartney Signed Butcher Album Cover $4,995.00 Sold Out!